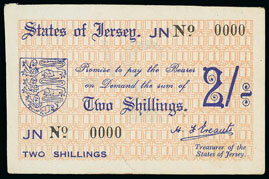 Our banknote auction held on 15th October 2014 contained an outstanding collection of Jersey banknotes including single notes, error notes and collections. It comprised 108 lots from the same source. 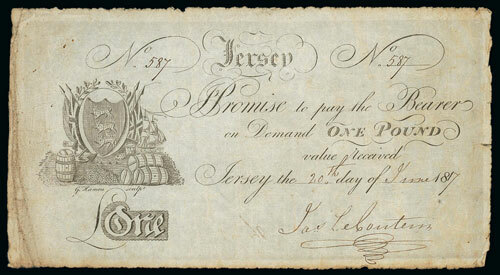 Highlights included this early local issue 1817 (20 Jun) £1, signed by cashier J. Le Couteur which achieved £507. 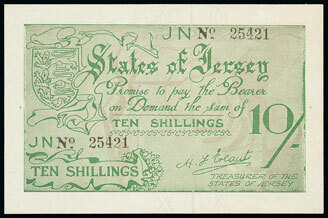 This section also included Jersey wartime issues including this H.F Ereaut 1941 (Jun) 2 shilling note with serial number JN0000which sold for £519. 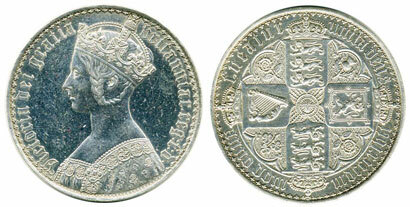 Other examples include this Ereaut 1942 10 shilling graded uncirculated which achieved £542. 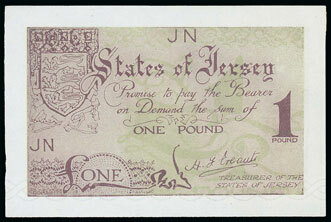 Also this Ereaut 1942 £1 graded about uncirculated and without serial number sold for £531. In our world banknotes section this scarce Turkey 1938 Law of Hariran 1930 second issue 100 lire note graded as fair sold for an outstanding £914. 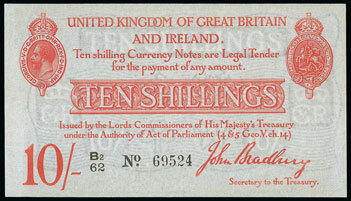 Looking closer to home, the English banknote section contained this wartime Bradbury 1914 £1 graded as extremely fine which achieved £1475 and this 1915 10 shilling graded uncirculated sold for £737. 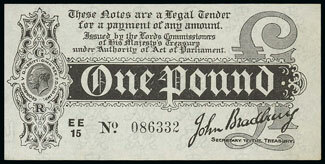 The sale contained a total of 172 British and World banknote lots. Our coin auction held on 15th October 2014 contained a good range of earlier British coins examples of which were this Commonwealth 1653 crown graded nearly very fine which sold for £2596. 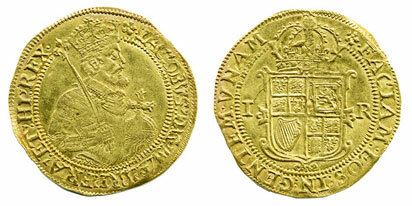 An example of early British gold was this James I Unite sold for £1711. Lot 523 in this section was the ever popular 1847 Gothic Crown. 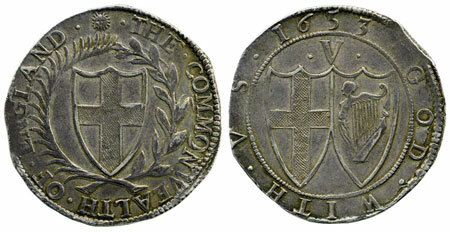 This particular coin was graded extremely fine and sold for £1534. In our gold section this George III 1808 third guinea and graded extremely fine achieved £318. 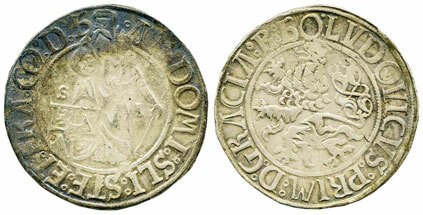 In our world coins section there were a number of earlier coins including this c1520 Bohemia Schlickthaler which sold for £554. 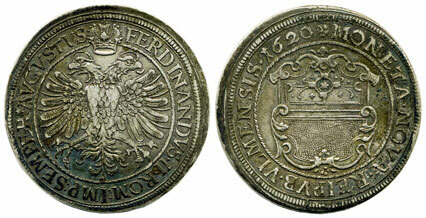 This scarce German States Ulm 1620 thaler achieved £1032. There were also a good number of mixed world lots which were well viewed and were keenly contested. This sale contained a total of 434 lots of British coins, world coins and commemorative issues.